Please note 42nd Annual Anand Bazaar occurred in past. 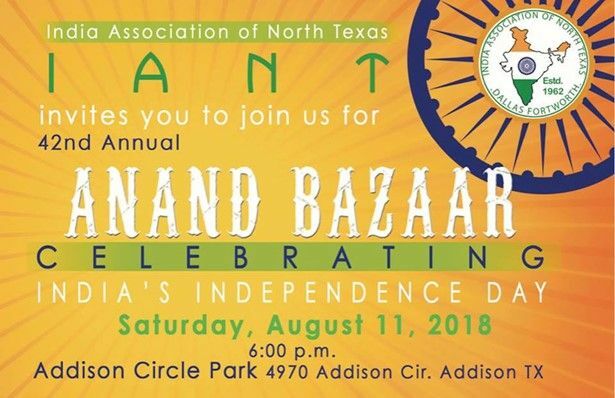 The India Association of North Texas will hosts its Annual Anand Bazaar to celebrate India's Independence Day. This will be an exciting event as it is the first time the event will be held in the heart of the DFW Metroplex.